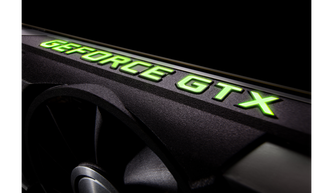 Full Disclosure: The product sample used in this article has been provided by NVIDIA. NOTE: NVIDIA GeForce GTX 690 Benchmark Performance Test Results will be available on 03 May 2012. 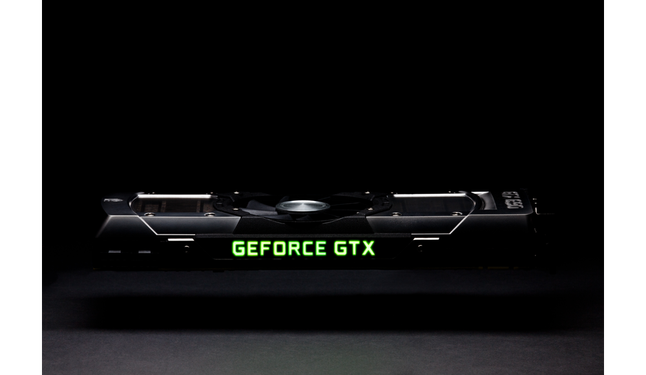 Admit it: you knew the GeForce GTX 690 was coming ever since the NVIDIA GeForce GTX 680 video card launched back on 22 March (2012). 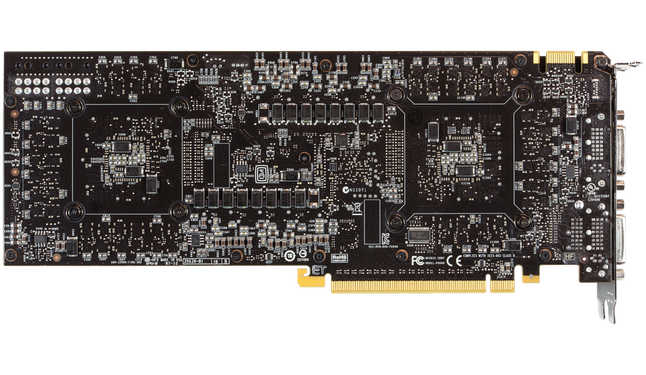 It didn't take long for the engineers at NVIDIA to find the right combination of speed and power before they could successfully fit two 28nm GK104 Kepler GPUs onto the same printed circuit board. A mere six weeks later, and now you find yourself reading all about it. So here's a spoiler alert: it's awesome and you'll want it... and this article gives you something to dream about at night. 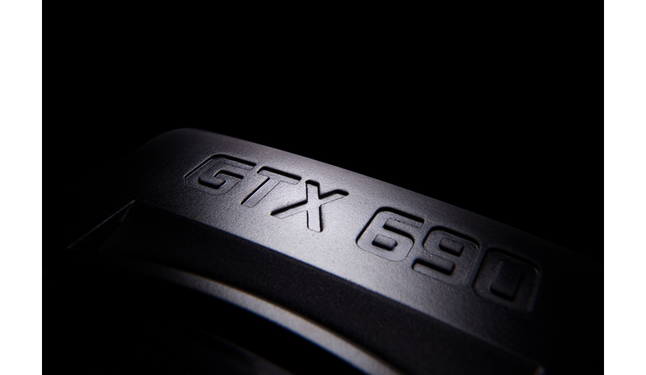 Of the many platforms available for gamers to enjoy video games, there's no question that the highest quality graphics come from PC. 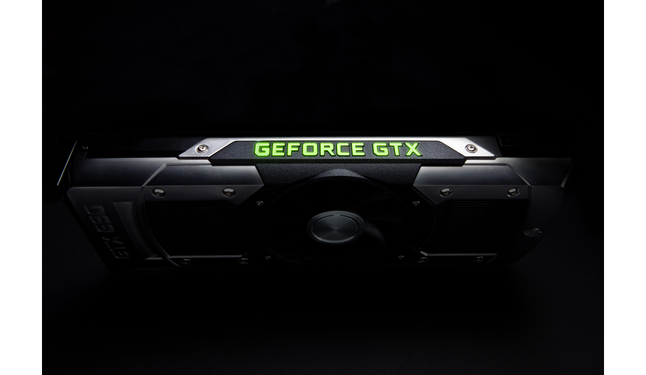 While game developers might not consider PC gaming as lucrative as entertainment consoles, companies like NVIDIA use desktop graphics to set the benchmark for smaller more compact designs that make it into notebooks, tablets, and smartphone devices. NVIDIA's Kepler GPU architecture is an example of this, delivering unprecedented performance while operating cooler and consuming less power in relation to performance than all previous flagship graphics processors. 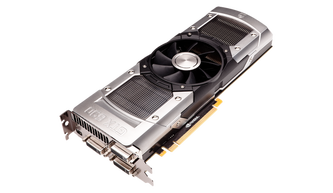 In this article Benchmark Reviews inspects the features available on the new NVIDIA GeForce GTX 690, a double-slot graphics card equipped with a pair of Kepler GPUs. 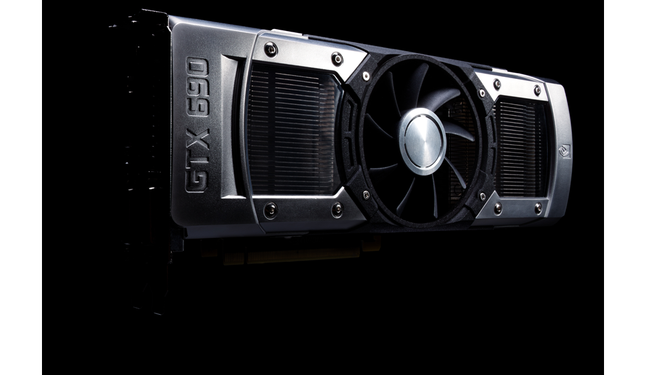 Featuring NVIDIA's cutting-edge GPU Boost technology, the GeForce GTX 690 video card can dynamically adjust power and clock speeds based on real-time application demands. 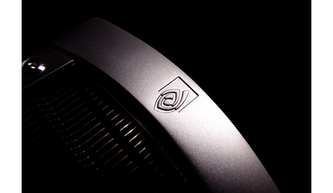 Using EVGA Precision-X, the GeForce GTX 690 has both GPUs overclocked beyond 1200GHz to produce ultimate graphical performance in PC video games. 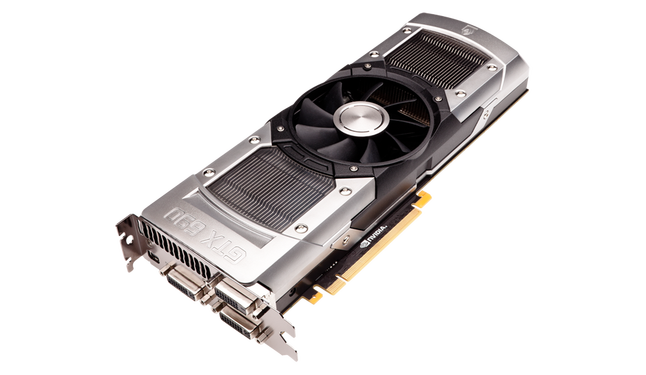 NVIDIA's GeForce GTX 690 is the first dual-GPU graphics card designed around their next-generation Kepler architecture, which adopts key aspects from the previous Fermi architecture. 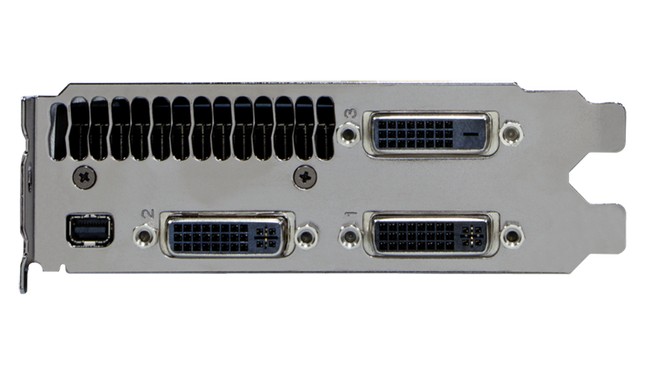 Building from the 32-core Streaming Multiprocessor (SM) from Fermi on the GeForce GTX 580, NVIDIA optimized Kepler GPUs with twice the performance per watt using an innovative 192-core streaming multiprocessor (referred to as SMX) that exchanges a double speed processor clock for more processor cores. 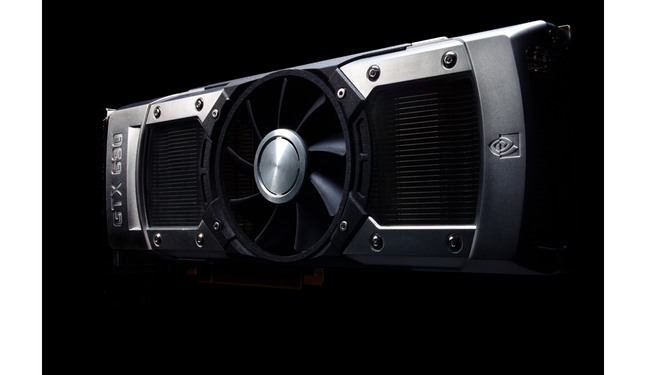 Utilizing eight SMXs per Kepler GPU, the , the GeForce GTX 690 boasts 3072 total CUDA cores which manage shader, texture, geometry, and compute tasks. 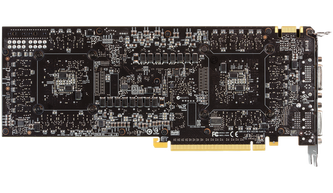 A reengineered memory subsystem reduces pipeline penalty for these many cores, and enables the 4GB GDDR5 resident on the GTX 690 to reach memory speeds up to 6.0 Gb/s. 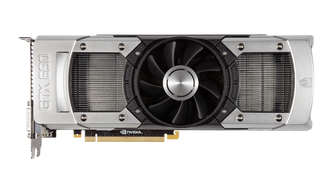 In addition to dual GPUs using the freshly released Kepler architecture and NVIDIA's new GPU Boost technology, the GeForce GTX 690 video card includes several refinements to the user experience. Smoother FXAA and adaptive vSync technology results in less chop, stutter, and tearing in on-screen motion. Overclockers might see their enthusiast experiments threatened by the presence of NVIDIA GPUBoost technology, but dynamically adjusting power and clock speed profiles can be supplemented with additional overclocking or shut off completely. 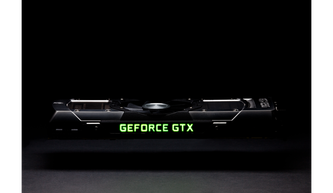 Adaptive vSync on the other hand, is a welcome addition by all users - from the gamer to the casual computer user. 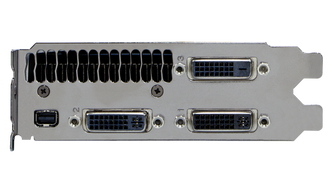 This new technology adjusts the monitor's refresh rate whenever the FPS rate becomes too low to properly sustain vertical sync (when enabled), thereby reducing stutter and tearing artifacts. Finally, NVIDIA is introducing TXAA, a film-style anti-aliasing technique with a mix of hardware post-processing, custom CG file style AA resolve, and an optional temporal component for better image quality.